How to choose a good solar inverter? Solar inverters are the next big thing in Australia. In such a scenario, it is inevitable to be equipped with the best of facilities. Hence choosing a good solar inverter becomes a must. From previous reviews, it has been found out that the failure rate of the inverters is abruptly high. All the power in a solar system flows through the solar inverter. Any fault with the inverter will ultimately effect the functioning of the entire solar system. Therefore, the solar inverter becomes the most critical component of a good solar system. The efficiency of the solar system depends much on the working of the solar inverter. 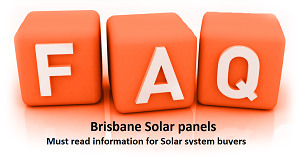 The solar inverter is the only component which is likely to fail early in a solar system. One cannot ignore the importance of a good solar inverter and should invest little extra bucks in its up gradation if and whenever possible. Both these qualities can together be found in some invertors but accordingly their prices are the highest. So, it is alright to make a little compromise with the efficiency if it’s a highly reliable inverter. It has come across as a good option for those who have to manage a limited budget. Another popular debate these days is the comparison between European and Chinese inverters. We can take any of the two sides in this case. Both of them have almost equal efficiency but European inverters being the more experienced ones in the market; have earned a comparatively better reputation. European inverters hold a legacy that is almost 25-30 years old, sorting out all reliability issues with time. The European giant in this business is SMA– German in origin and presently the biggest manufacturer in the world and undoubtedly the most expensive. Slightly less expensive than SMA is another European company, Power one Aurora which is Italian in origin. The Chinese brands giving tough competition to these are Samil Power, Growatt, Ever Solar among many others. They have a comparatively lower risk associated with them and have successfully fixed various problems over the last 3 years. This has greatly increased their reliability among the customers. The most important thing to ensure while purchasing a solar inverter is a 10 year warranty. Although the standard warranty is 5 years but it can be increased by making a few extra efforts. Also an oversized inverter is an utter waste of time and money unless you are going to expand your solar system in the next 12 months. Otherwise, with the technology changing after every 3 years, it is nearly impossible to buy the same solar panels for expansion of your system. A relatively small-sized inverter is a decent choice to make. It is possible to oversize your panel array up to approximately 15% afterwards. The thumb rule finally comes out to be that the quality should not be undermined in any circumstances while choosing a solar inverter. We can manage with a little less efficiency but not without maximum reliability.